Parents have worried about children rotting their brains with video games since the rise of home computers and games consoles three decades ago. Worse still, some games have been blamed for influencing violent crime among children, leading to calls for tougher regulation. The truth is somewhat different according to a report published by the European parliament in 2009. It concluded that computer games teach essential life skills and are good for children. The report, from the committee on the internal market and consumer protection, also found that – contrary to fears about the violent reputation of some games – there’s no definitive proof that playing them has an automatic negative impact on children’s behaviour. Instead, the study urged parents to take a greater interest in video games and schools throughout Europe to consider using games for educational purposes, claiming “video games can stimulate learning of facts and skills such as strategic thinking, creativity, cooperation and innovative thinking, which are important skills in the information society. Schools should pay attention to video games and inform children and parents about benefits and disadvantages that video games can have”. It is still important for parents to be vigilant, however. The European parliament conceded that “violence in video games can in certain situations stimulate violent behaviour” and, while it insisted there was no need for Europe-wide legislation, the report called for a Europe-wide approach to prevent the sale to children of games intended for adults. The video games world is a fast-moving one and many of today’s educational games are online and social, allowing children to collaborate and interact to achieve common goals. Unlike the stand-alone games of the 80s and 90s, new educational games allow children to become a character in an interactive, virtual world and solve problems that may relate to the real world. The learning aspect of these games is more subtle too. Rather than stopping to solve a problem that can feel to the child like schoolwork, newer games work concepts of language, science or maths into the actual game mechanics. There is now even an answer for parents worried that children are endangering their health by sitting for hours on end playing video games. 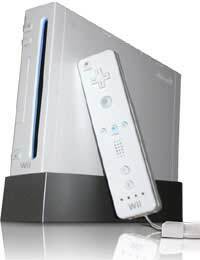 The launch of the Nintendo Wii, with its wireless and motion-sensitive controllers, changed the face of video games. Players no longer sit and push buttons, but get up and move about – swinging the controller like a tennis racket or golf club, or using it to fend off baddies in a sword fight. It is important that parents do not underestimate the impact video games can have in today’s world. The European parliament report found that total revenues from the video gaming sector in 2008 amounted to more than £6.25billion, while in the United Kingdom video games outsold music and other video products for the first time in 2008. It is clear, therefore, that video games are here to stay and, with that in mind, the European parliament wants the growing market for online games to be better controlled. It suggests online games incorporate a red button on the screen which children or parents can click to disable the game. By linking this button to the administrators of the Pan-European Game Information age rating system, PEGI could investigate potentially disturbing games that are available through the internet.